More than 100 executives flocked to the event. 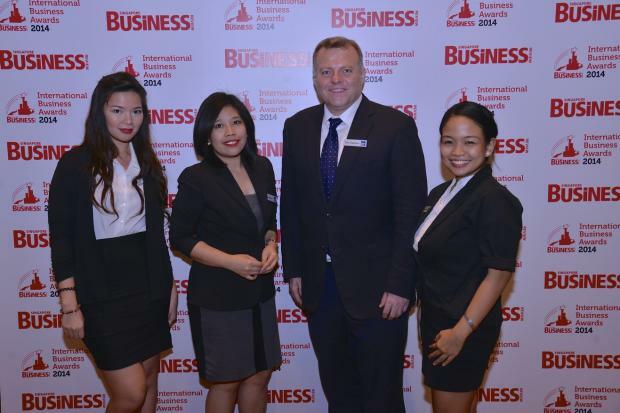 Singapore Business Review made history last July 24 with the inaugural International Business Awards. IBA 2014 set out to recognize the best and the brightest among Singapore’s many foreign firms. The award honoured 39 companies from 17 countries, spanning the globe from Vietnam to Luxembourg to New Zealand. Nominations were judged by an esteemed panel from the country’s top accounting firms. The judges are Choo Eng Chuan, International and Corporate Tax Services Partner of Ernst & Young; Stephen Chang, Regional Managing Director of Deloitte Consulting; Roger Loo, Head of Management Consultancy Services at BDO Singapore; Henry Tan, Managing Director of NEXIA TS; and Toh Kim Teck, Assurance Partner at Foo Kon Tan Grant Thornton. The awarding ceremonies were held last 24 July at the Conrad Centennial Singapore.